Heat oil in a pan and fry cashews in a medium flame. 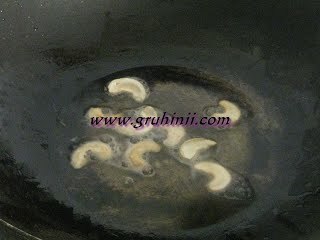 When they turn to golden brown remove from the oil and keep them aside. 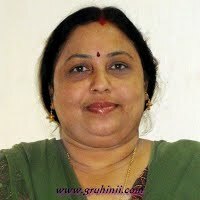 To the same oil add carom seeds. 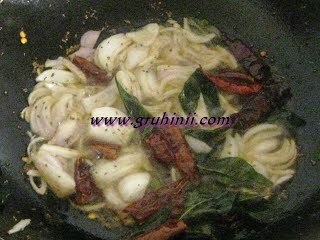 When they start spluttering add red chillies and curry leaves. Fry for a while and add sliced onions. 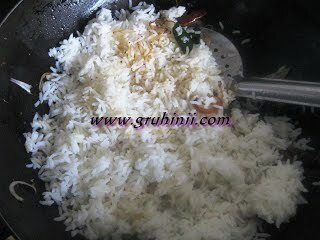 When the onions become translucent add rice. Sprinkle salt and mix well. Switch off the flame and add lemon juice (optional). 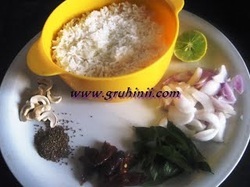 Mix well and take the rice into a serving bowl and garnish with fried cashews.